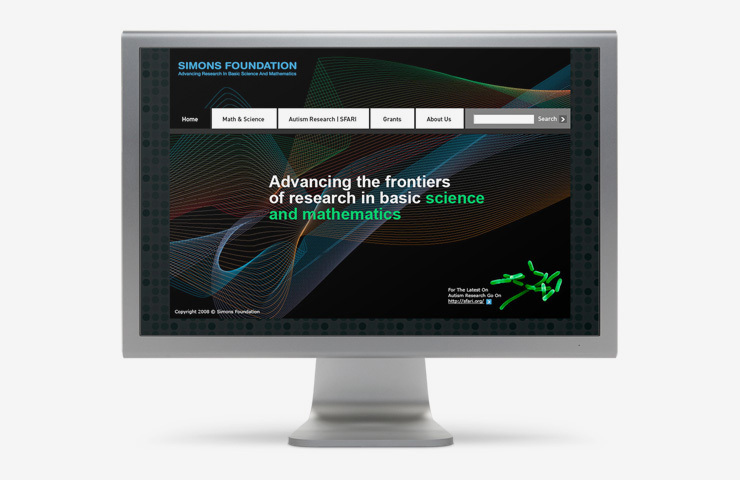 The Simons Foundation works to advance the frontiers of mathematics and the basic sciences, functioning through a broad range of programs that aim to further human understanding and knowledge. Since 2007, IridiumGroup has served the organization with the development of the original brand identity, visual identity standards, and cornerstone communications. 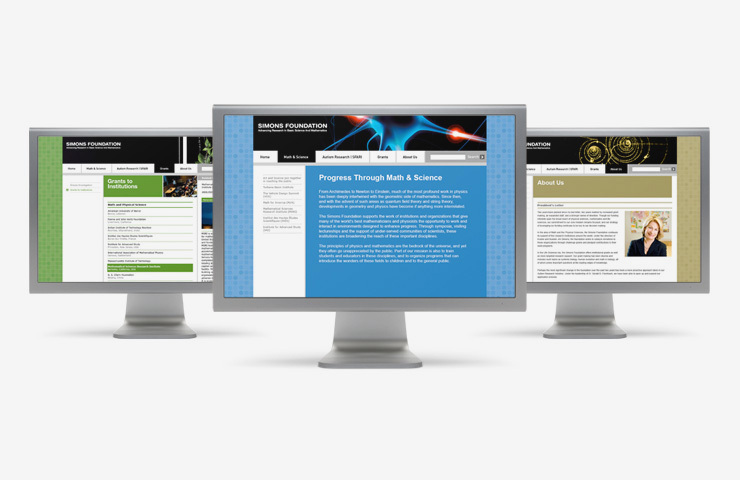 IridiumGroup led the design of the original flagship website. 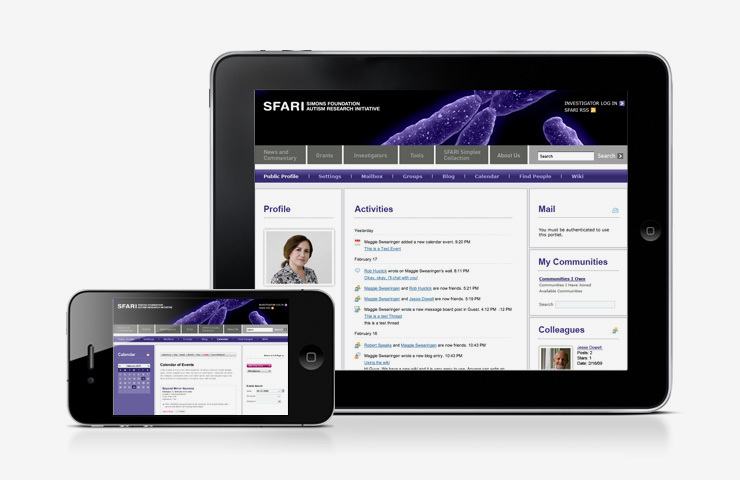 We also created a community website that serves investigators in a primary program of research, SFARI, or Simons Foundation Autism Research Initiative. 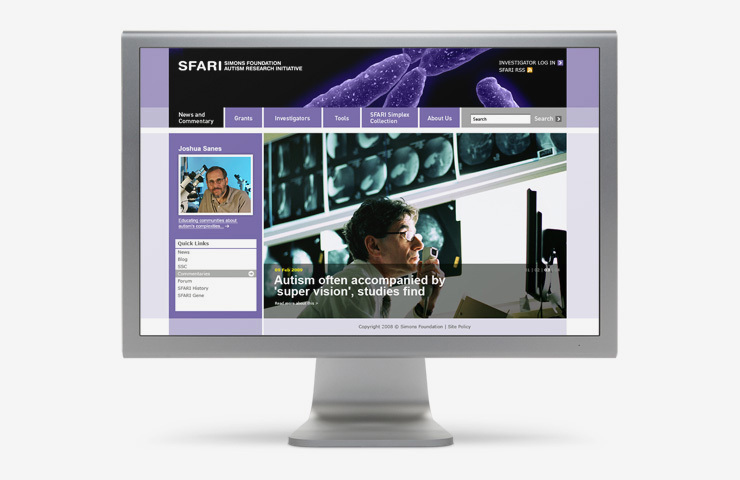 This work included architecture and design of a community website that would serve to connect investigators working in autism research, enabling them to post research questions and share their own white papers and scientific results. 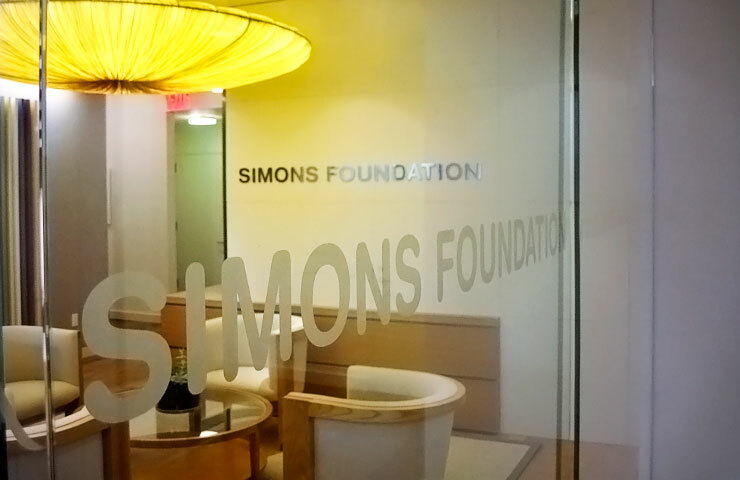 Simonsfoundation.org and SFARI.org needed to be branded as a family or system of communication, but also function differently. This was achieved by using similar header and principal navigation elements. To establish differentiation, different colors were applied along user functions specific to each audience need. Both websites include site search. Our team proudly continues our services as a strategic partner, developing annual reports and implementing a wide range of communications needs.